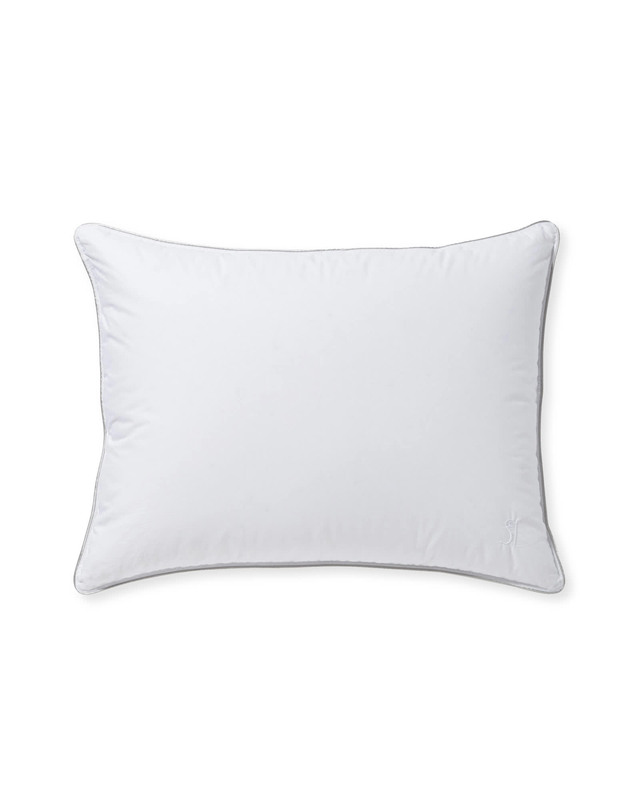 Goose Down Pillow InsertsGoose Down Pillow Inserts, alt="Goose Down Pillow Inserts, "
Print Thanks to a fill made of inviting European white goose down, these pillows are truly a dream. A breathable cotton shell keeps you comfortable while you sleep and both shell and fill are Oeko-Tex certified, so they’re free of harmful chemicals. 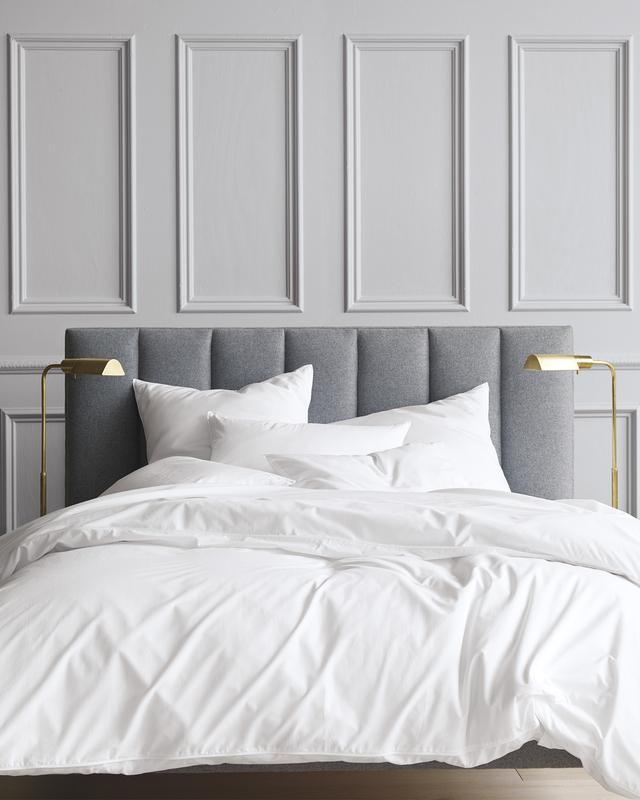 For your best night’s sleep, we suggest a fill density that fits your sleep style – soft density is perfect for stomach sleepers, medium for back sleepers, and firm for side sleepers. 650 fill power for years of lofty comfort. 100% cotton, 230 thread count shell. Premium white goose down fill. Oeko-Tex certified shell and fill, so it’s free from harmful chemicals. Responsible Down Standard Certified to safeguard the welfare of the geese and ducks. Super-Clean™, meaning the down is washed twice for a pure fill. Down is Super-Clean™, meaning it’s cleansed twice the requirement. Soft and Firm density pillows available in Standard and King sizes. Medium density pillows available in Standard, Euro, and King sizes. 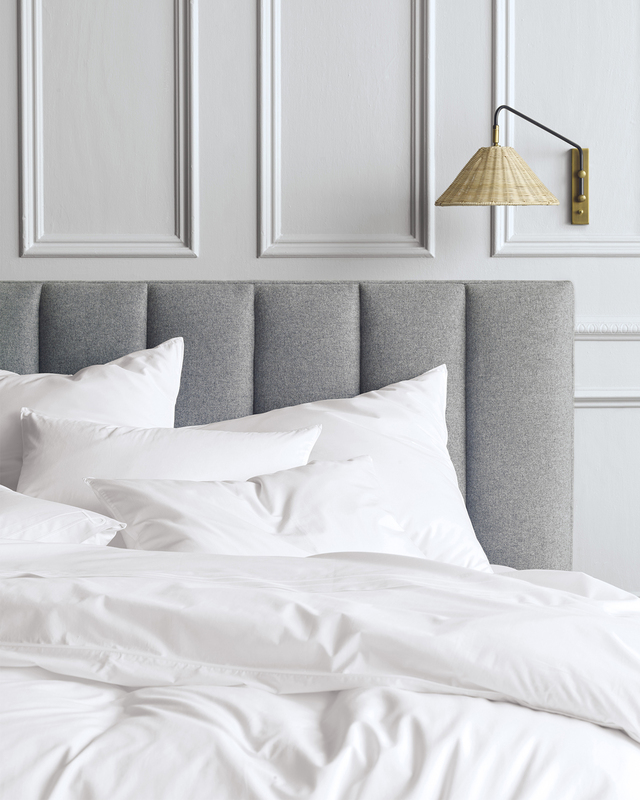 Ultra-cozy and eco-friendly, our duvet and pillow inserts are designed with only the very best materials. Choose between two luxe and lofty fills: premium European goose down or hypoallergenic Primaloft® Down Alternative. 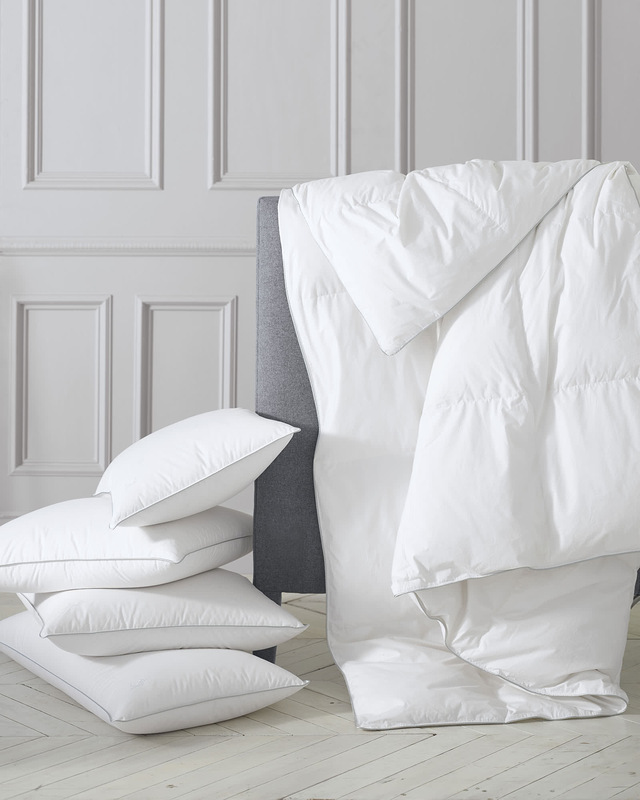 Our duvets come in Light, Medium, and Heavy weights so you can pick just the right layer for warm or cool weather. 3 sizes and 3 densities let you find the pillow that suits your sleeping style.